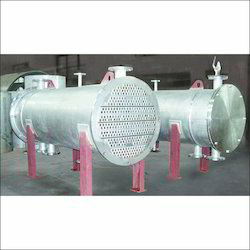 We offer a wide variety of Evaporators and Air Receivers. These are manufactured from 300-grade stainless steel, nickel and nickel copper alloys, SA516Gr70 and can be availed by our clients in different specifications. We also meet customized requirement for our clients benefit. Our range of Evaporators is manufactured from 300-grade stainless steel, nickel and nickel-copper alloys, SA516Gr70 in our state-of-the manufacturing unit. Known for its excellent durability, high efficiency and less maintenance, these Evaporators are appreciated across the globe by our clients. 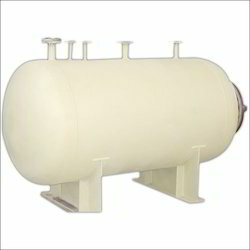 We are engaged in manufacturing and exporting a wide range of Air Receivers. These are manufactured from quality raw material and are tested on well-defined parameters before being delivered to our clients. Moreover, these are available in customized specifications as well. Looking for Evaporators And Air Receivers ?